We ARE LEAN! 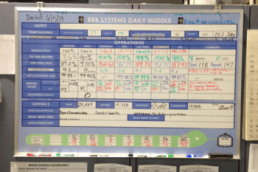 Our family owned business helps every kind of manufacturing and service sector improve their 5S and Lean Management initiatives with our customized visual management Shadow Boards. We design and produce fully customized, quality Tool Shadow Boards, Cleaning Stations, and Informational & Organization Boards and offer unlimited design revisions, so you get a shadow board that makes your workplace more efficient and profitable and, most importantly SAFE. Because we are small we can respond in a quick and friendly manner, and we supply the cleaning tools too, making us your turnkey 5S solution. 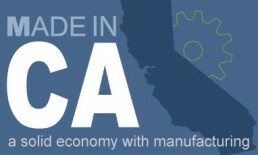 Made here in the USA with pride! Developed by the Japanese, the 5s system organizes the workplace based on the 5 "pillars"
Remove unnecessary items from the work area. Attach removal tags to infrequently used items. Customize the work area to improve efficiency. Keep important materials nearby. Implement visual organization to streamline workflow and improve efficiency. Clean the work area, equipment and tools. 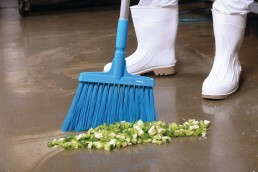 Find and eliminate sources of contamination. 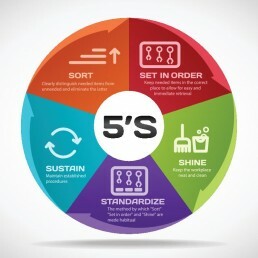 Create a standardized and consistent 5S workflow. Assign tasks and create schedules so that everyone knows their responsibility. 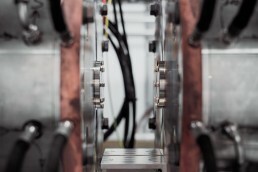 Ensure that 5S is a long-term, company-wide goal. Analyze results, hold team meetings and train workers on the importance of 5S. The most efficient organization of tools and equipment contributes to less workplace accidents and creates a higher level of employee morale and pride. 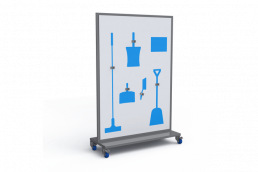 Our shadow boards act as visual aids and encourage area cleanliness and workplace safety. 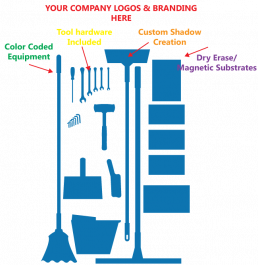 Clearing away waste and organizing the most used tools and equipment efficiently on a shadow board, frees up space that can be used more effectively for expansion and higher profits. Ensuring tools and equipment are close to hand on a mobile shadow board, cuts wasted motion and travel time, which increases productivity, and your bottom line. 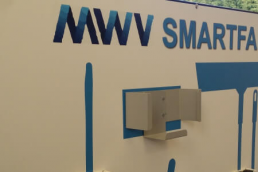 The visual nature of our shadow boards clearly shows when an item is missing, or needs replacing or fixing which saves you money and helps prevent production slow down or stoppages. Making it routine to implement proper procedures and discipline to avoid backsliding, is one of the main objectives of the 5S system. This practice improves the chances of avoiding dark, dirty, disorganized workplaces, which can foster lower morale among employees. When workplaces are clean and organized, your employees are happier! 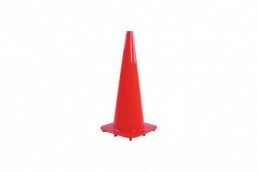 Attack of the road cones? Think 5S! How Can Companies Using Road Cones Be More Organised? Answer, Our Cone Shadow Boards! Traditional Pegboards vs Printed Shadow boards? Who wins? You decide.